Vinyl Lettering for businesses and organizations, car clubs, etc. Click for more information about Vehicle Wraps. Paint Protection Film is one of the most effective ways to protect your vehicle from rock chips, bug damage, abrasion, and weathering. 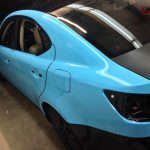 By applying a nearly invisible urethane film over vulnerable areas of your vehicle, be confident that your paint will look new for several years. 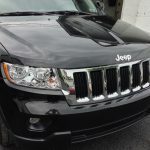 5-Year Warranty on all Scotchgard film 7-Year Warranty on XPEL Xtreme film 10-Year Warranty on XPEL Ultimate film (Self-Healing Film) Click for more information about Paint Protection Film. 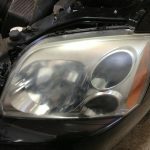 If you have dull, hazy, cloudy, or yellow head lights you should consider getting them restored to its factory condition. 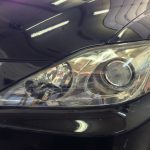 Rather than spend hundreds on a new set of headlight covers, getting your headlights restored is a very cost effective way to see clear at night. 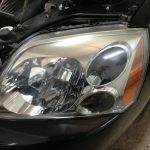 If you’ve tried to clean your headlights yourself with the stuff they sell in the stores and experienced little to no results, leave it to the professionals who have the proper tools, training, and experience. 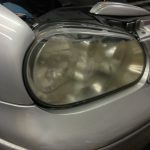 Save money without having to purchase new headlights. Drive safer at night with increased visibility. 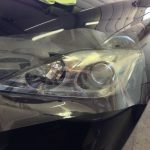 Protect your headlights against rock chips, cracks, and turning yellow. 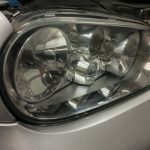 Replacing a head lamp housing can cost a few hundred or even thousands depending on the type of car. Protect your investment. Drive with ease even in the harshest weather conditions. 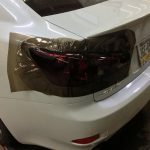 Also available in different colors to give your lights that custom look but also protects against rocks and debris while driving on the highway. Color options include: Clear, Light Tint, Gun Smoke, Smoke, Charcoal, Yellow, Blue, Red, Green, Orange. Available in 8mil, 12mil, 30mil, 40mil thickness. *Color tint recommended for off-road use since it may reduce light output at night. There are many benefits to getting your windows tinted besides looking cool. Reduce harmful UV rays that can cause skin cancer, reduce heat during the hot summer months, and enhanced privacy. Lifetime Warranty on window tint services. Pamper your ride with a full professional detail with the use of environmentally friendly wash/wax products. Get a complete interior/exterior cleaning without the use of water while leaving a scratch-free shine. 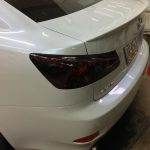 Click for more information about Auto Detailing. 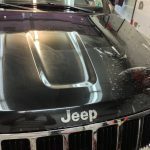 I use 3M Scotchprint and Avery Supreme Wrapping Film for my vehicle wrap projects, Scotchgard and XPEL for paint protection film installations. See quality results from quality film. Film used for fog light, tail light and head light are from Lamin-X. Professional detailing products by Chemical Guys. 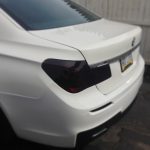 I am based in the Stroudsburg/Poconos area and do most work in the NEPA area but I do travel out of town such as New Jersey and New York depending on the type of work . Please call 570.977.7002 or send me a message from my contact page if you have any questions. © 2019 ChoTime Vehicle Wraps. Fueled by Linnflux.